If you want to disbelieve oral health doesn’t affect one’s love life you can. But, that won’t change the truth for you or for that matter anybody else. Poor dental health can create a lot of complexities, ranging from tooth loss to low self-esteem. Apart from that, it is also potential enough to disrupt your personal life and relationships. According to topnotch dentists in London, there’re five oral health issues that take the most severe toll on your love life. If you can take precautionary measures against them, you won’t have much to repent upon. Halitosis: It is also called bad breath problem and it can be the real ruining factor for your love life. Moreover, bad breath problem or halitosis also indicates the individual has other dental health issues. Thus, you shouldn’t ignore this problem under any circumstance. The real causes of halitosis are often found to be caries, gum inflammation and even oral cancer. Mouthwashes prove helpful to some extent but they don’t provide comprehensive solution to the problem. You must seek appointment with your oral healthcare provider to avail total cure. Teeth decay: Tooth or teeth decay is caused by cavities. Regular brushing and flossing prove helpful to prevent the formation of cavities. Use a fluoride base toothpaste along with a toothbrush with soft bristles to exploit the maximum advantage of brushing. Caries in the tooth if left untreated may snowball into serious issues, causing severe pain and infection. It can also lead to gum diseases. For further information on proper brushing and flossing, the best thing to do is search online for a reliable dental clinic in the locality, using strings like “private dental clinic near me”. Teeth grinding: In the dental jargon, the problem is also called bruxism. If you suffer from the problem, not only it causes disturbance to your spouse or room-mate but also proves very damaging for your teeth. If wears out the outer enamel coating of the teeth, thus making the inner, soft dentin layer vulnerable to regular wear and tear. Discoloured teeth: Teeth discolouration is a common problem and it can occur due to plenty of reasons. But mostly it depends on your daily diet and dental habits. The best thing about it is unlike the other common dental issues, the problem can be treated within a very little time span. 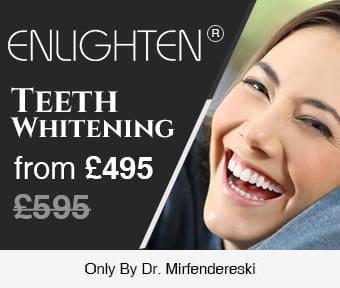 By applying the teeth whitening products, your smile can be brightened up hardly within minutes. Crooked teeth: Some people have perfectly straight teeth, whereas some others have not. Crooked teeth make your smile much less attractive and furthermore, it can also affect your self-confidence. Thankfully, modern dentistry offers excellent solutions to resolve crooked teeth problem. If you too are suffering from the problem, book appointment with a reliable oral health office and avail their customised treatment based on cutting-edge technology. Orthodontic treatment using the 6 month smiles braces is very popular in smile improvement. It offers desired results much faster as compared to the conventional braces. Take precaution against these five dental issues and enjoy life to the rim.